It's still snowy and Icy in Scandinavia but the temperature are rising. Which makes it very frustrating for us bike riders, the weather is nice but you can't ride your bike. That's why me, Simon Berggren and Adam Klingeteg decided to go creative with it! Slovakia ’s Filip Polc took top honors in the Red Bull Desafio no Morro, an unprecedented mountain bike downhill competition inside a “favela” (slum) in Rio de Janeiro this Sunday (Sep 27). 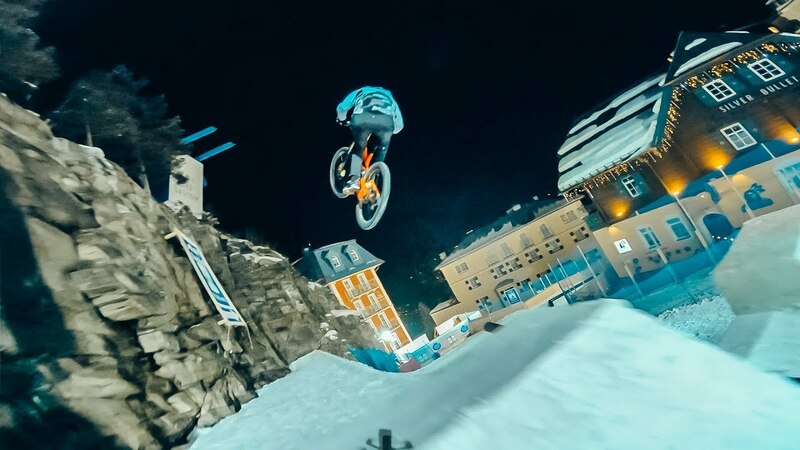 Tignes : piste rouge : Red Hot [Bike] Commencal Supreme DH V4.2 2017 Freins : Shimano ZEE Pneus : Maxxis Minion DHF 2.5 (avant) Maxxis Highroller 2.4 (arrière) [Camera] GoPro Hero 6 Black [Settings] 2.7k 60fps Stabilisation : On Protune : On : White Balance : 5.5k Color : FLat ISO limit : 400 EV : 0 Sharpness : Hight FOV : Wide Low Light : N/A Spot Meter : Off Audio : Wind only Color Grad post-prod.